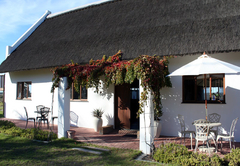 Zoutpan Struishuis is a highly recommended B&B with self catering option, providing accommodation in Albertinia for tourists visiting the Garden Route region. 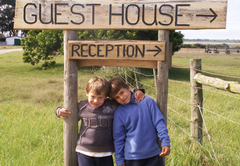 Combine Luxury Accommodation with a Farm experience only minutes away from various Game Reserves and activities to choose from. 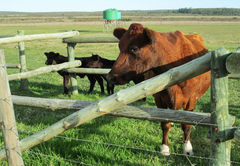 Zoutpan Struishuis Guest Farm is the ideal getaway to escape from life’s daily stresses. 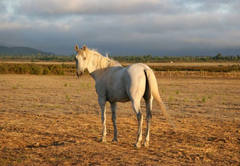 Situated only 1 km from the N2 on the Garden Route between Riversdale and Albertinia, Zoutpan is the ideal halfway stopover between Cape Town and PE, with George Airport only 80 km away. 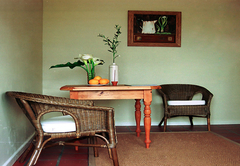 The Guest House offers some of the finest examples of the unique collection of about 6 500 species of Cape fynbos (plants) that grow only on South Africa`s coast.This is the perfect destination for the business and leisure traveller alike. 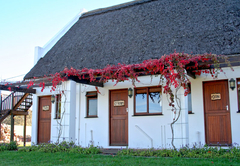 Guests will experience the warm Afrikaner hospitality of Engela and Bertie Horn in their stylishly decorated Cape Dutch apartment units. 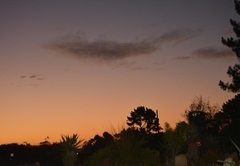 The guest house offers 5 different self catering units and can accommodate a maximum of 26 guests at a time.The various self catering units offer fully equipped kitchenettes, own bathrooms and entrances. 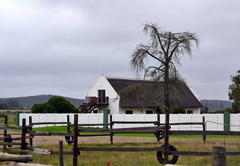 The Luxury Lofts (not self catering) boast spectacular views of the farmlands. 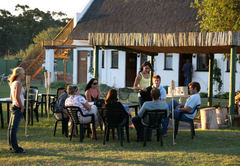 Guests are also free to relax in the beautiful communal lounge and reading area, explore the area by enjoying walking trails in the fynbos area, do bird watching, watch the African Sunset while sipping on sun downers at the lovely rock-pool and later enjoying a magical evening around an open log-fire. 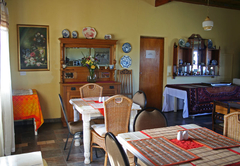 Zoutpan Struishuis is the perfect setting in which to welcome your conference guests. Our loft-style, Cape Dutch, air-conditioned conference facility offers a unique venue option for hosting workshops, seminars & conferences and can accommdate up to 20 people, depending on the seating style. This Unit has one bedroom, fully equipped kitchenette for self catering, own bathroom, own entrance and patio onto garden. Bedroom has two single beds with a TV in the bedroom broadcasting SABC 1,2,3 and ETV. Braai facilities available. This unit has one bedroom, fully equipped kitchenette for self catering, own bathroom, own entrance and patio onto garden. 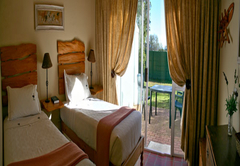 The bedroom has a double bed with a TV in the room broadcasting SABC 1, 2, 3 and ETV. Braai facilities available. This unit has two bedrooms, fully equipped kitchenette for self catering, own bathroom, own entrance and patio onto the garden. 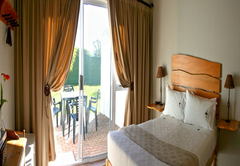 Each bedroom has two single beds. Braai facilities are available. This unit has two bedrooms, fully equipped kitchenette for self-catering, own bathroom, own entrance and patio onto the garden. There is one double bed and two single beds with a TV broadcasting SABC 1,2,3 and ETV. 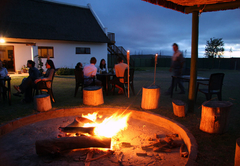 With braai facilities. 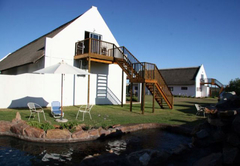 This luxury self catering unit has 2 bedrooms (1 double & 2 single beds), own bathroom with a shower/bath, own entrance and sliding doors onto the garden. 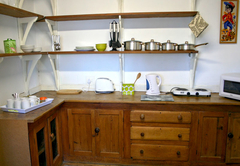 This unit also contains a fully equipped kitchen as well as dining room, lounge & tv. 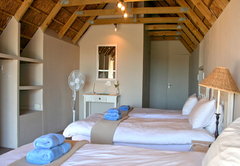 This spacious room has 3 single beds, an ensuite bathroom, coffee station and balcony with a spectacular view of the farm with own entrance. It is an Air-conditioned room. 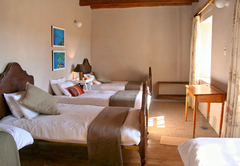 This spacious room has 3 single beds, an en-suite bathroom, coffee station and balcony with a spectacular view of the farm with own entrance. 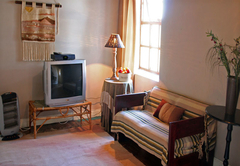 Lovely three bedroom cottage with a fully equipped kitchenette, lounge with TV 1, 2, 3, ETV and DSTV. 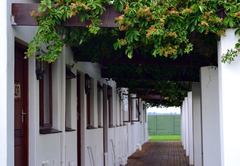 Bathroom with bath and shower, own braai facilities and own entrance onto the garden. Dearest Engela Myself and the rest of my family just want to thank you for thepriceless experience you and Bertie gave us on your farm.You are still the most heated topic everyday and all of us got to learn so much from you. 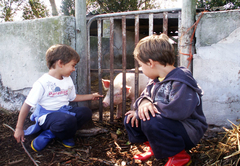 Hope everything goes will for the new year be sure to see us again, SOON!!! What a wonderful place. Close to so many things and yet out of the way enough to be quiet and peaceful and a totally new experience. Our hosts were friendly, helpful and always armed with a smile. Would recommend the breakfast to anyone staying over - it makes a good start to a days travelling. Only sorry we did not stay longer..... next time we will make it a longer stay. 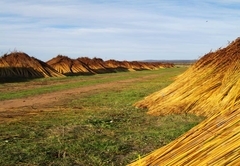 Response timeZoutpan Struishuis typically responds to requests in 5-10 minutes.